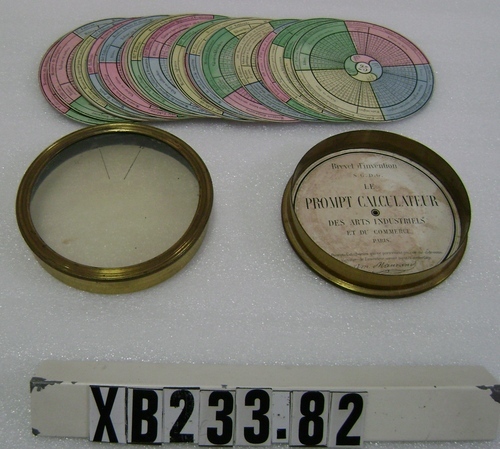 A circular case containing thirty numbered insertable round nomograph-cards. 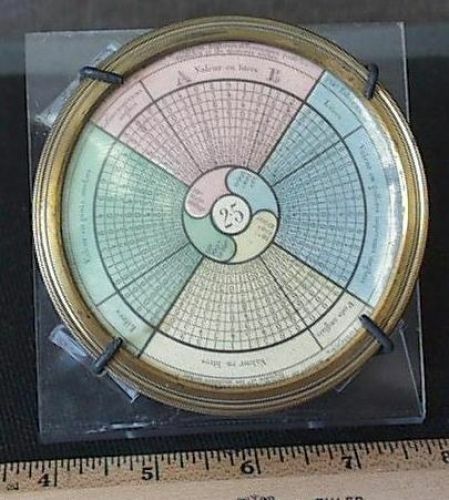 On the plastic see-through lid of the case are inscribed two arrows, marked 'A' and 'B,' used in performing the calculation/conversion. 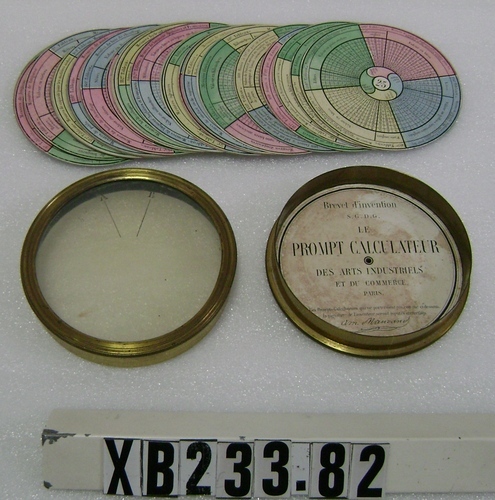 Device has been photographed mounted on a plexiglass stand and with parts separated.